Even though I had braces as a kid, my bottom teeth started moving towards crooked again almost immediately after I had them taken off. I remember having to get a new retainer only a year later because my original retainer didn’t fit anymore. My dad insists I didn’t wear it, but I remember it always feeling tight and painful. Anyways, the second retainer also felt tight and painful, so that one… I really didn’t wear. The way I talked and smiled though, you couldn’t really see my bottom row. So it was never a huge deal that my teeth were crooked to me. But in the last couple of years, they seemed to be crowding more noticeably. One of my bottom teeth was starting to move up and push against my top teeth, which was painful. It was also a lot more visible than it had been before, and I started noticing that my top teeth were chipping due to the lack of alignment with the bottom row. I began thinking about the possibility of braces again a couple of years ago, but working seasonally for the Park Service meant I moved so often it didn’t really seem realistic. 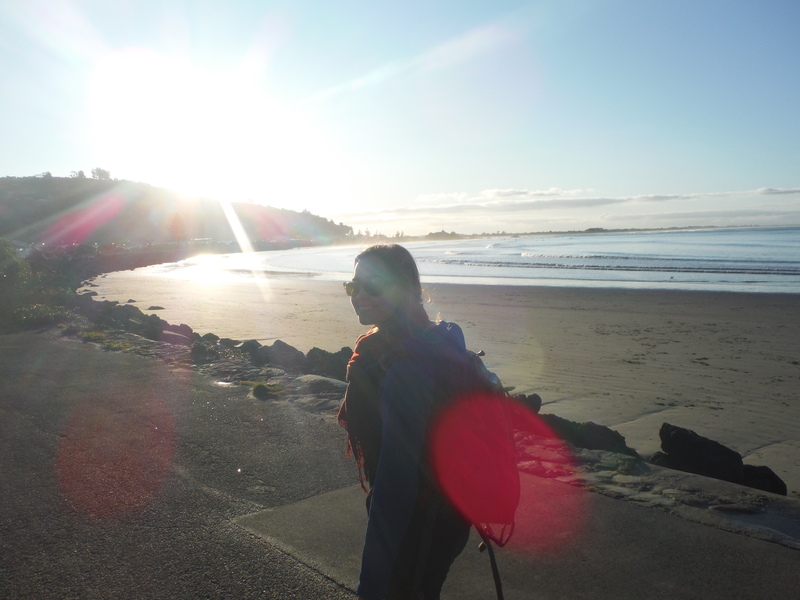 When I settled in New York City for graduate school, I finally decided to take the plunge. My bottom teeth had crowded to the point that it was noticeable when I talked, and in addition to the discomfort, I was starting to feel self-conscious about it. Not knowing where I was headed in the future, I decided to take the year and a half I’d be attached to New York to complete my degree as an opportunity to get this long-standing issue fixed. It helped that my boyfriend moved 10,000 miles away in April – it seemed like a good time to take on a self-improvement project, however unattractive. I went to see Dr. Camilo Achury in Queens. Full disclosure – Dr. Achury is a long-time friend of my Father’s, which is how I came to him. But I do mean it when I say that my experience with his practice was really fantastic. So if you’re in the New York City area and considering the treatment, I would definitely recommend you check him out. I was thrilled to find out that I was a good candidate for Invisalign – I was not super stoked on the idea of a mouth full of metal. I was also happy to hear that the full treatment would only take 7 months – I’d had to wear my original braces for over two years. I had 16 tooth-colored attachments cemented to my teeth in July, and after wearing a new clear plastic tray every two weeks, I got everything removed and a permanent retainer put into my bottom row last month. I couldn’t be happier with the results. From left to right: Day 1 with Invisalign, halfway through, and my last tray! If you want to know the nitty gritty details of what it’s like to wear Invisalign braces – there are tons of blogs out there documenting people’s experiences. In my research, however, I had one major question that I never really found a straight answer to in many late-night Google sessions: would travelling with Invisalign mess up my treatment? 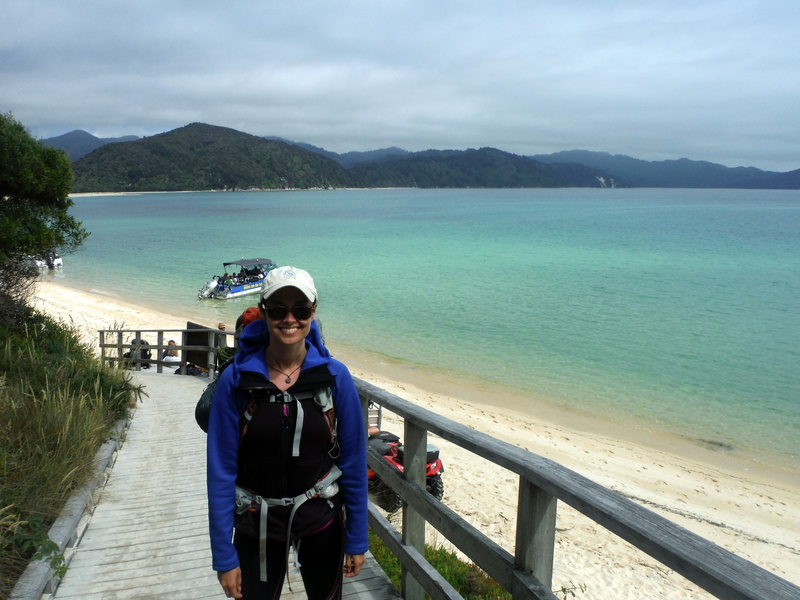 I took two big trips during my seven months with Invisalign – first my two week South Island Road Trip in New Zealand, and next my holiday visit to New Zealand and Australia that included a 3 day backpacking trip on the Abel Tasman Coast Track. 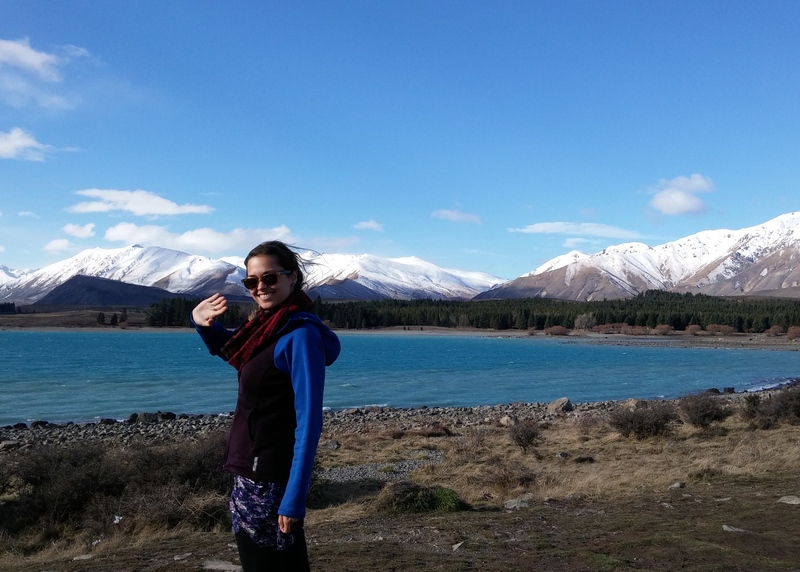 I was really concerned about how I would manage eating on the 30+ hour travel days to and from the southern hemisphere, and it turns out – not a lot of people were blogging about experiences like that. So I thought I’d fill the Google void by talking a little bit about what my Dentist recommended, what I actually did, and how things turns out. I asked Dr. Achury before all of this what his recommendations were for dealing with some of the upcoming events. He stuck to the Invisalign recommendations across the board – 22 hours a day, or as long as you can manage, every day. The longer you wear the trays, the more certain your results will be. While as you’ll read, I didn’t follow this recommendation to a tee, this was solid advice that informed the rest of my decisions throughout my treatment and ultimately did lead me to results I was happy with. Those familiar with the Invisalign treatment will know that it can be a little tedious. You can’t eat with them in, so you have to take them out for every meal and then brush and clean both your teeth and the trays before putting them back in. I was pretty diligent about doing this for breakfast and dinner, but I tended to slack over lunch – mainly because I hated cleaning my trays in the public school bathrooms where I was student teaching. I usually just rinsed out the trays with water and rinsed my mouth with mouthwash instead, and that seemed to be fine – I finished my Invisalign treatment without any extra cavities. But the idea of doing all of this in airport restrooms – not exactly known for their cleanliness – severely grossed me out. And doing it in an airplane bathroom? Honestly, it made me want to gag. 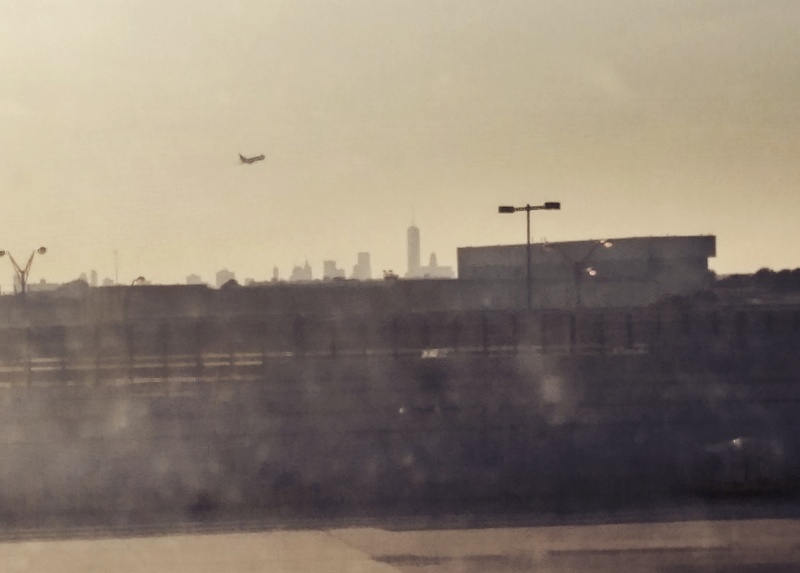 How I dealt: On that first trip, I dutifully kept my Invisalign trays in as long as possible. But when my flight was delayed I was forced to take them out to feed my grumbling belly at the airport. Still, I braved the restrooms at JFK to do a quick rinse and put them back in. I left them in until the in-flight beverage service, when I got up to take them out in the airplane lavatory as to not offend my seatmate. 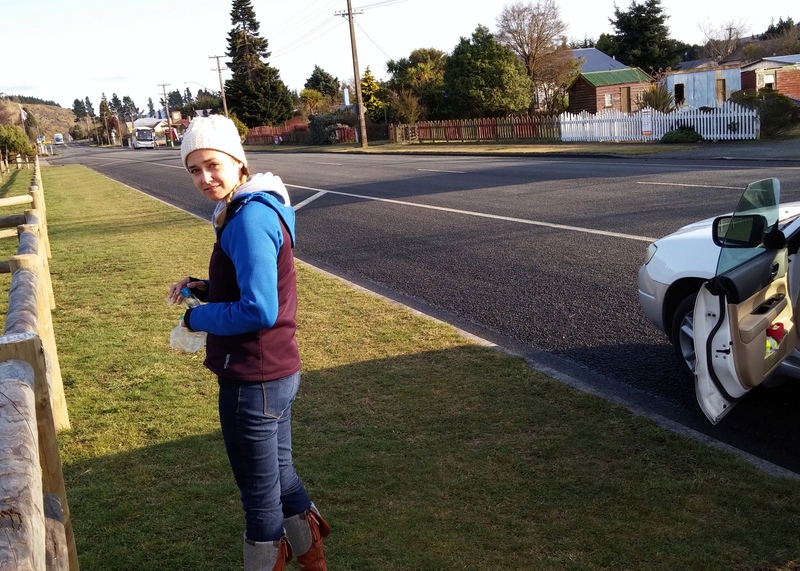 I didn’t put them back in until I landed in Christchurch. That was almost 24 hours later. Invisalign recommends you wear the trays for 22 hours a day – but in the case of my long haul travel days, that was just not possible. I never brought my trays into an airplane bathroom again after that first time. Instead, I would just take them out at my seat right before the first in-flight service (if anybody noticed, they didn’t say anything), and then left them out until I landed and could get myself to a half-decent restroom. I did this four times during my treatment – each time I went without wearing them for close to twenty hours if not more. And guess what? My teeth turned out straight in the end. Okay, so you can leave them out for a full day every now and then – but what about if you’re spending two weeks on the road? 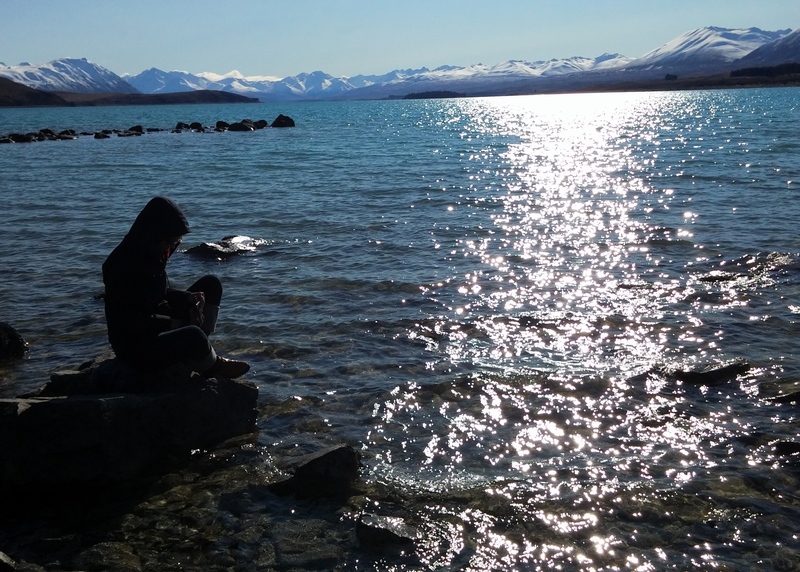 I faced a similar dilemma on our South Island road trip as I did in the airports – roadside bathrooms are just not where I want to be spending my time. Plus, in order to maximize the number of hours sight-seeing, we did a lot of car-eating. How I dealt: My driving companion was gracious about not making fun of me when I had to take out the trays in the passenger seat in order to eat on the road. I kept water and a little bottle of mouthwash with me in the car at all times. I typically waited 30-45 minutes or so after eating to allow some of the food to… you know… get rid of itself. Then I’d ask my driver to pull over. Sometimes we found a nice spot with a clean bathroom, but most of the time, I just got out of the car on the side of the road, rinsed both the trays and my mouth with water and mouthwash, and popped them back in. No biggie. Did I have the trays in for the full 22-hours a day during those two weeks? No. Did it wind up making a huge difference? Nope. One of the major downsides of Invisalign: no snacking – at least for me. I found the work it took to take everything out, clean up, and put everything back in was not worth a tiny meal. So typically I just tried to eat three big meals a day and skip any in-between indulgences. 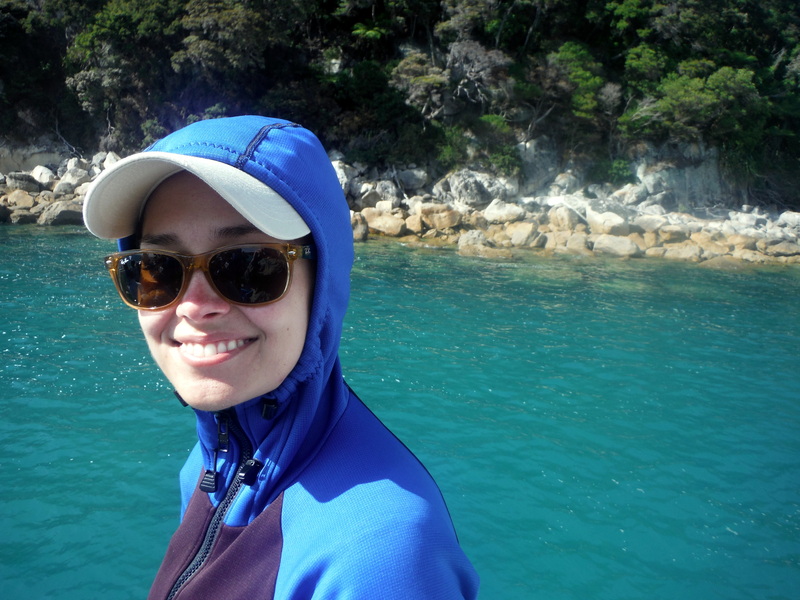 This, however, was problematic for our 3-day hike on the Abel Tasman Coast Track. Since the trip required a lot more energy than my typical day back home, I didn’t want to limit myself to only eating 3 meals a day. But I knew that if I was wearing the trays I would resist my own hunger to avoid the inconvenience – not ideal for long-distance hiking. Plus, I was self-conscious about taking out and putting in my trays in front of Tom’s family (it’s not a pretty thing to do, in case you’re wondering). How I dealt: I decided the best choice for me was to put in the trays after dinner and take them out before breakfast. That’s right. I didn’t wear the Invisalign all day while we were hiking. This freed me up to snack when I was hungry and not have to stop every time to take out and put in the trays. I was towards the end of the treatment when I did this, so I’m not sure if that made a difference, but again, I graduated from the Invisalign program on time and without issue – so three days of not wearing them during the day turned out not to be a big deal at all. 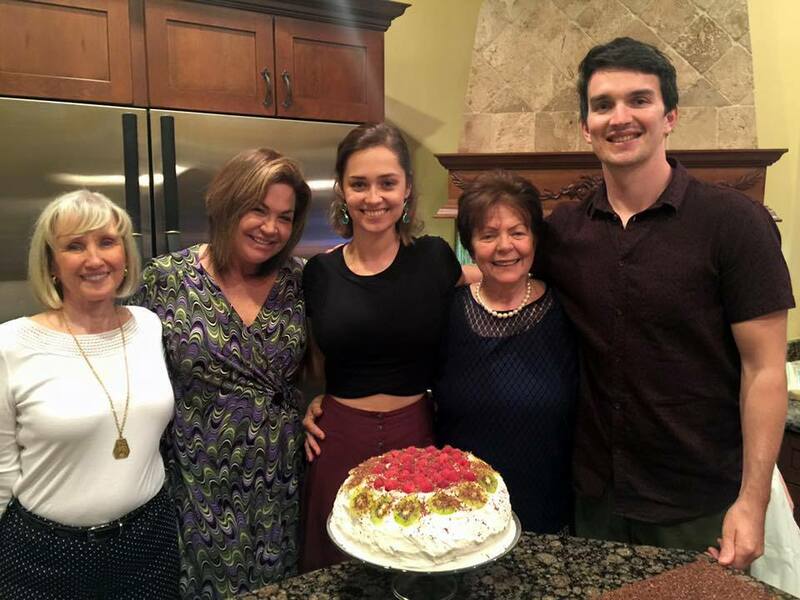 Thanksgiving with my mother, grandmothers, Tom, and the my first Pavlova! While two hours may seem like plenty of eating time, I found keeping to that schedule difficult on a normal day. Could you imagine eating and drinking anything other than water for just 2 hours on Thanksgiving? How about Christmas? Yeah, that wasn’t my reality either. How I dealt: I was a bit stressed out about how to manage my Invisalign during the Holidays, but I decided the best way to handle it was to wear the trays up until it was time for the big event. I took them out right before either I left for the event or the guests arrived (depending on whether I was a host or a guest). I wanted to avoid having to delay a glass of bubbly so that I could dart to the bathroom and take out the trays. And I also wanted to free myself to indulge in appetizers, second helpings, and dessert at a leisurely pace – instead of trying to scarf everything down in two hours (or less, if I took them out for breakfast that morning). I decided to just not worry about it and guess what? Everything turned out fine. I spent way more time than I needed to stressing out about how to manage Invisalign on social and special occasions. In retrospect though, that stress wasn’t really warranted. No one really noticed I was wearing them until I pointed them out, and no one really cared when I had to take them out or put them in in public. Every now and then I would get a curious look in the ladies room, but that was it. I went several long periods of time without wearing the trays in order to accommodate the happenings of my life, and despite Invisalign’s warnings, my treatment stayed on schedule. I will say though, that I’m sure part of the reason I was able to take those breaks in wearing the trays without incident was that I did stay compliant to the 22-hour rule on most days. I also feel compelled to state the obvious here: that this was my experience and that yours might be different. Ultimately, the way you handle your compliance to the treatment is up to you. My advice to those considering Invisalign, but worried about upcoming events that might be inconvenienced by the treatment? Just do it. Taking little Invisalign vacations here and there during your treatment when it’s necessary or appropriate won’t be a big deal. As long as you wear them most of the time on the whole, you’ll be fine. Will it be the most comfortable and graceful experience you’ve ever had? No. But will it be worth it? Haha! I absolutely love this post!! I have retainers, and although they’re not as demanding, I feel you. Thank you so much, This helped me a lot because I’m traveling next week and I’m really worried about brushing my teeth and trays after a lunch or a dinner in public bathrooms. I’m so glad it helped and I hope you’re not as worried anymore! Happy travels! This is really helpful. I had kind of planned on just wearing them at night while traveling, especially since clean water may not always be a given, so I’m glad to know others have also stressed over this and survived. Is it weird I’m worried the people in Thailand, India, Dubai, etc will be like ‘why does this girl have pointy spikes on all of her teeth?’…Even without the trays in, I feel like the buttons are visible and obnoxious (especially when eating—food gets caught soooo easily). I definitely stressed, and I definitely survived! It’s not weird to be self conscious, and tbh, the locals probably will think it’s strange – fixing your teeth is a luxury most people in the world don’t have. People might say something to you, but no one will be like ‘eww get away!’. And 99% of the time no one will notice at all! I’m debating postponing getting mine for a month or so because I have a 10 day trip to Italy planned. What do you think? Will I be ok just wearing them at night some of the time or should I just postpone getting them? Unless you have some pressing need to start now, I would wait until after your trip to Italy. When vacationing, there are many more unexpected/unplanned opportunities to try a snack or beverage. Want an espresso at a cafe or some red wine? Gotta take out the trays and after brush teeth and trays. I’m on day 6 and still learning to do this faster and my teeth are still sore and eating softer foods still. Enjoy your time 100% in Italy and then start the process upon return. That would be my advice. Based on my experience I think you’ll be fine just wearing them at night or wearing them throughout the day and taking them out for meals. If it’s something you think you’ll be self conscious about maybe it would be worth it to wait. But overall I found it really was not a big deal to take them out for meals and give them a rinse after. Just my two cents! You are absolutely right about there being a lack of info out there about traveling and wearing Invisalign. I came across your post looking for what others experienced since I am about to head to the Dominican Republic for a week where I will be hiking, rafting, canyoning, etc…. not to mention wanting to join in for a few mojitos. I know a bathroom will not always be available and it was great to hear some of your ideas for rinsing in a pinch. Love the roadside pic! Thanks for the post! Thank you so much for sharing your experience. This makes me feel tons better about my upcoming 6 week long summer trip with my new Invisalign. After a week with them in, I was regretting starting them now instead of after our trip. Thank you! Thanks for sharing, how long are you projected to have this treatment for? Also, as a Cerritos Invisalign provider, has there been any unexpected complications you’ve experienced? Also how would you rate your dentist/provider giving you the Invisalign treatment? As a local dentist in CA and a new Invisalign provider, getting the perspective from a patient’s point of view is great- thanks again! Wow, this post is terrific! Thank you so much for sharing your Invisalign experience in such depth with us. Your teeth look terrific!! As a dentist, I often have patients coming in with a thousand questions and concerns about Invisalign (which I am more than happy to answer!) and how they’re stressed about the very same things you were, and I’ glad that you were able to manage such beautiful results on schedule without compromising too much. Thanks again for your post!